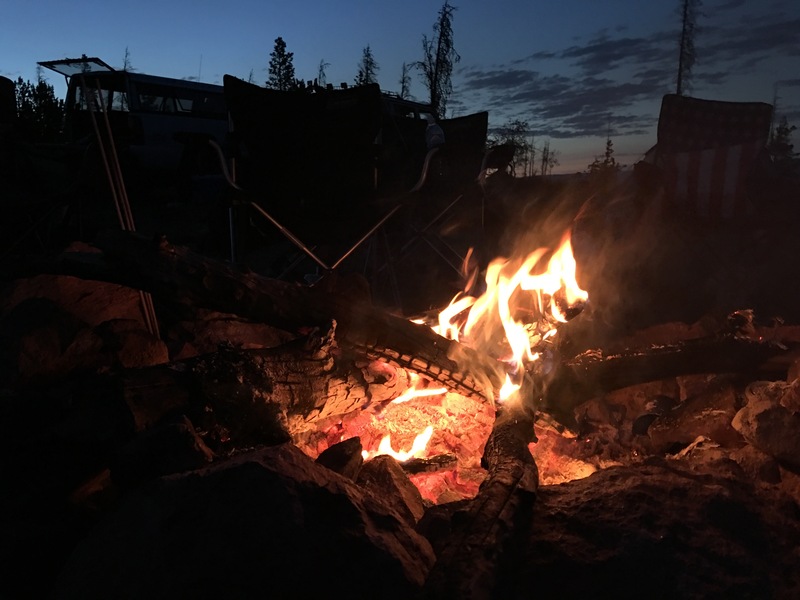 Nestled at the north end of the Laramie River Valley, the Hohnholz Lakes area provides world-class opportunities for camping and fishing. The lakes themselves are immediately west of Laramie River Road. Hohnholz Lakes Rd a.k.a. National Forest Road #200 continues up from the valley for miles in the northern Colorado Medicine Bow mountains. This route actually provides a shortcut to North Park, the town of Walden, and the North Sand Hills OHV area. Dispersed campsites are plentiful, with miles of branching backcountry roads weaving in and out of the forest. A significant amount of these roads form networks and are almost all directly accessible from FR 200. Many of the spur roads from FR 200 are narrow and steep. Quite a few of these we found would prove troublesome for longer wheelbase vehicles, especially for turning around. The area holds quite a history of its own. Once home to Old Roach, a now abandoned logging town once established by the Otto Lumber Company to server timber needs of railroads. The town was occupied from roughly 1923 through 1938. Old Roach, while a company town, at its peak had a post office, general store, and school. Not much remains today of this ghost town, but you can find numerous relics of the area’s past by exploring the area. In addition to Old Roach, there were a handful of satellite camps established in the day this area reigned strong. One such area of interest is the Stuck Creek splash dam that was built to regulate the flow of nearby Stuck Creek for purposes of floating timber down the valley into the Laramie River. 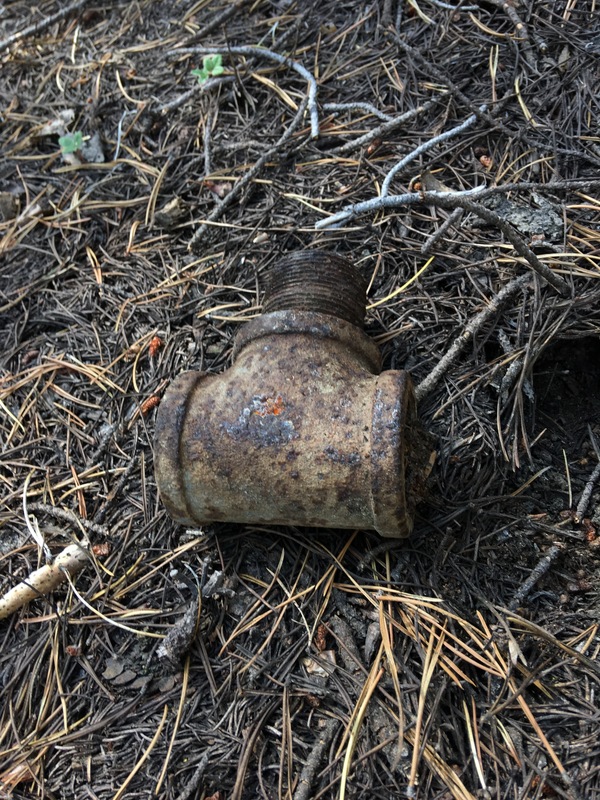 An archeological exploration conducted by the Forest Service in 2006 found the site of Forrester Camp, about five miles south of Old Roach. In 2008, an additional camp was found named “Camp 3”, three miles west of Old Roach. And in 2009, an additional camp was discovered, East Beaver Camp, five miles northwest of Old Roach. Records indicate that several other yet-to-be-located camps were established, and have yet to be found. Old Roach likely did not serve the needs of the Laramie, North Park, & Pacific Railroad, because the railroad was built well before the lumber operation at Old Roach existed. Rather, Old Roach served the needs of Union Pacific in its expansion during this time, hence the timber being floated down Stuck Creek, into the Laramie River, and ultimately into Laramie, WY. While the area holds lots of history, this trip was a 4th of July weekend camping trip. There are numerous dispersed campsites on the west side of the valley above the lakes. Besides being incredibly buggy at dusk and dawn especially, many of these dispersed campsites have prime locations. Going via Hohnholz Lakes certainly isn’t the most efficient if you’re trying to reach North Park or Walden from Laramie or Fort Collins. However, on a longer trip, this road provides a great backcountry way to reach the aforementioned, if you’re trying to go there. To actually reach Hohnholz Lakes, it’s about two or three hours from Fort Collins. There are also other attractions in the area worth checking out if you’ve got time. Less than ten miles north is the Jelm Mountain Observatory (which you can actually see from Hohnholz Lakes), or on the way to Red Feather Lakes, Deadman Tower is open during the summer months. This was the first time I’ve camped here. I usually prefer to stay closer to town for one night camping trips, but since the group was going here, it was a good excuse to go further. Either way, the Hohnholz Lakes area offers great opportunities for recreation, just as you’d expect in the Colorado high country.